Obituary – Payne, Betty Ruth (Swendig) « Perry High School Alumni Association, Inc.
Betty Payne, 83, of Perry, Oklahoma was the daughter of Clarence Lavern and Mary (Thompson) Swendig. She was born on December 11, 1928 in Perry, Oklahoma and died on March 11, 2012 at Perry Memorial Hospital in Perry, Oklahoma. She was raised on the Swendig family farm six miles south of Perry, Oklahoma. She attended country schools through junior high school and completed high school in Perry. Betty was especially fond of her grandfather, John Swendig, who also lived on the family farm. She learned how to cook very early in life and enjoyed baking and cooking for her family. She also enjoyed playing piano and other musical instruments and was a member of the Perry High School marching band; she went on to become a music major at Oklahoma A&M. On November 11, 1948 in Stillwater, Oklahoma she married Lloyd Payne, who was also raised on a nearby farm and was best friends with her older brother Lavern. They lived on the farm where Lloyd was raised for several years and had three children all boys. They later moved to Perry and then to Tulsa and Houston but returned to Perry in 1983. Lloyd passed away on November 2, 1985 and Betty remained in Perry until her death. One of the favorite times in her life was when she and Lloyd were living in Houston and they would go to antique auctions. They would buy and restore old oak furniture and accessories that reminded them of their days on the farm. Eventually their home was filled with these beautiful antiques. 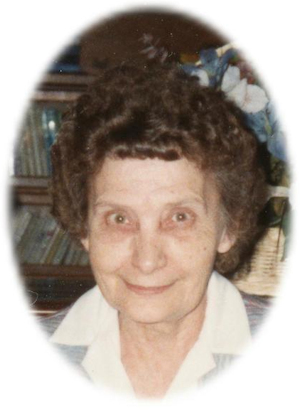 Betty was a member of the Christ Lutheran Church of Perry. Graveside services will be 11:00 a.m. Thursday, March 15, 2012 at Fairview Cemetery south east of Perry. Brother Aaron Summers will officiate. Services are under the direction of Brown-Dugger Funeral Home in Perry. Betty is survived by her three sons, Vern Payne of Tulsa, Oklahoma, Dorsey Payne of Ponca City, Oklahoma, Tom Payne of Houston, Texas; her brother Richard Swendig of Palisade, Colorado; six grandchildren and four great grandchildren. 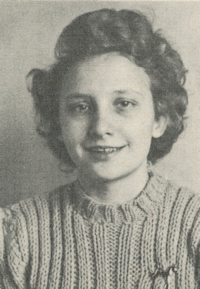 She is preceded in death by her husband, Lloyd; her parents, Clarence and Mary Swendig; one brother, Lavern; one infant brother and one sister, Cecil Fern.